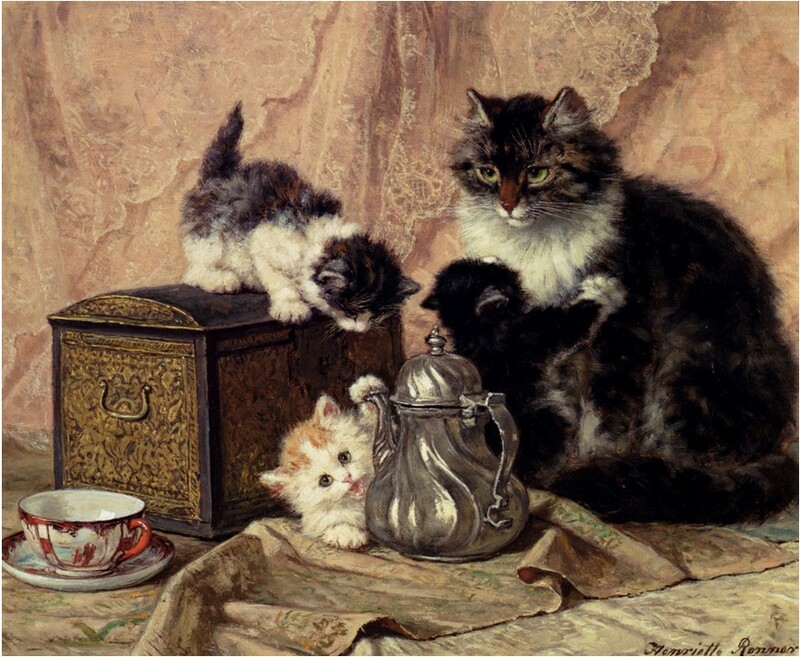 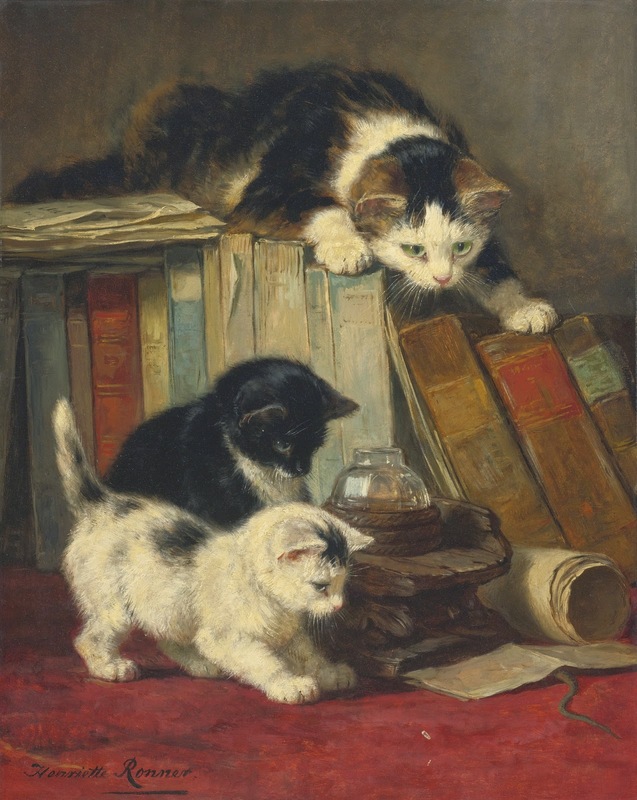 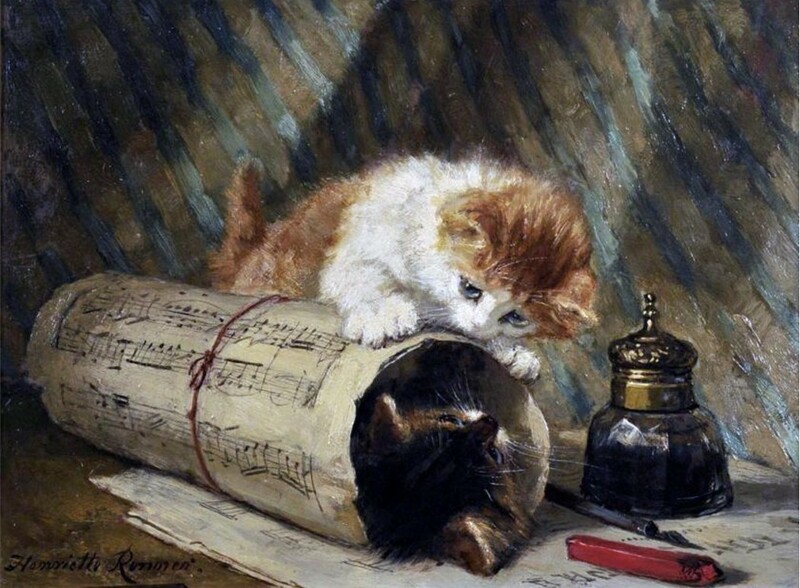 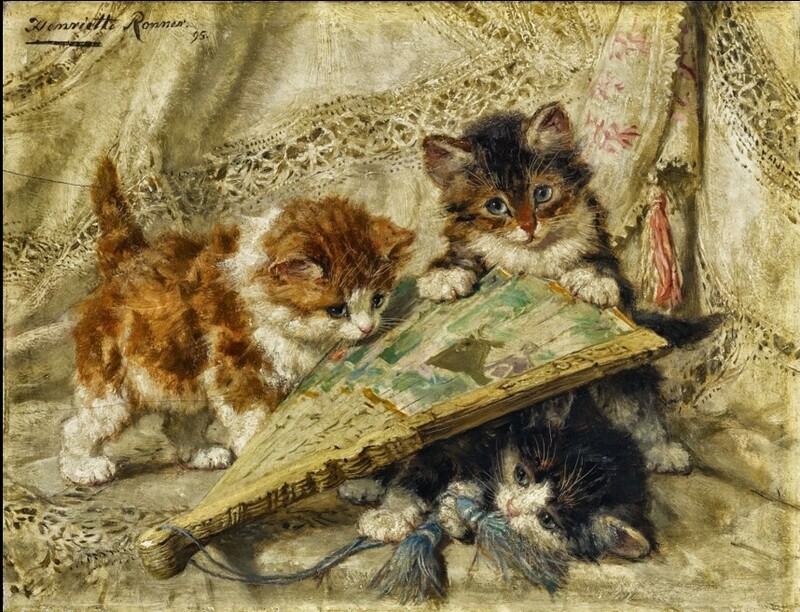 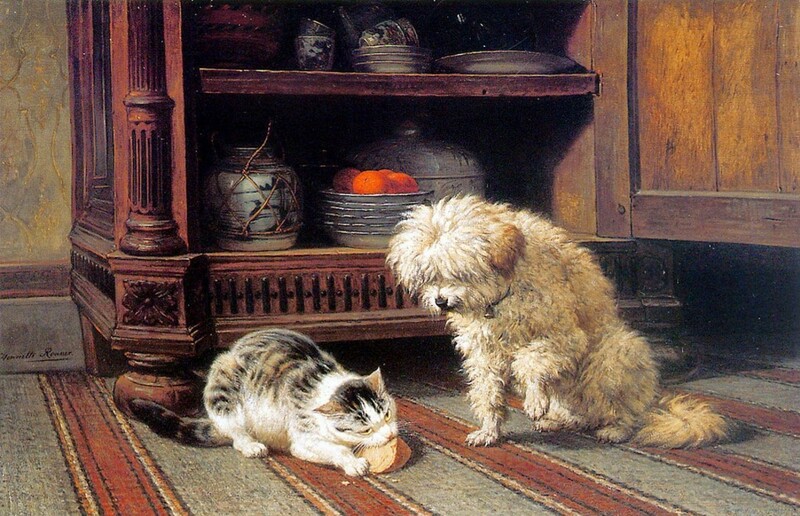 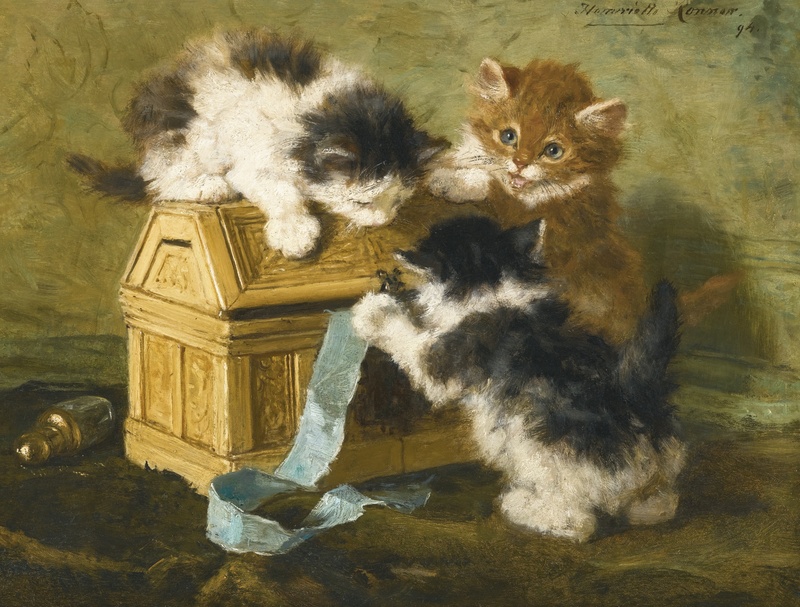 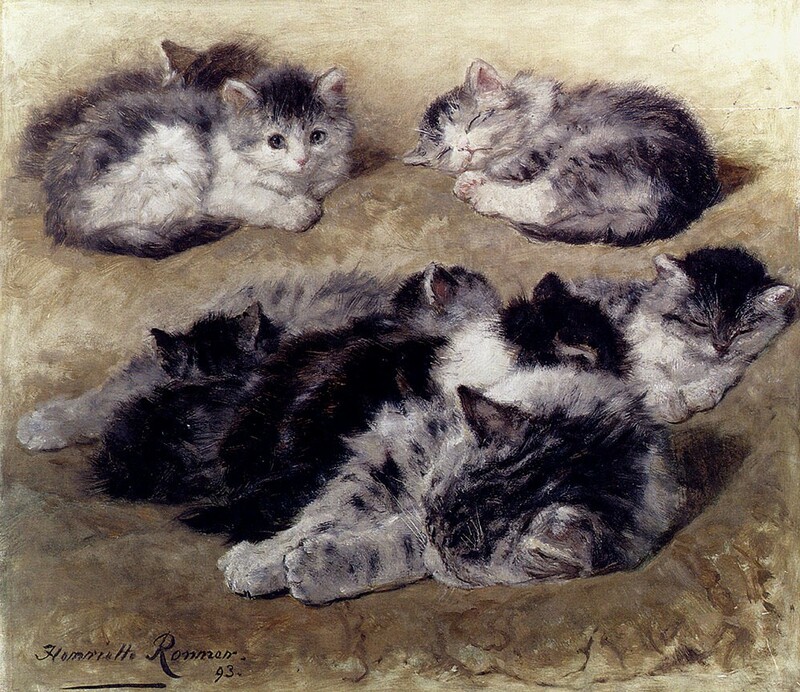 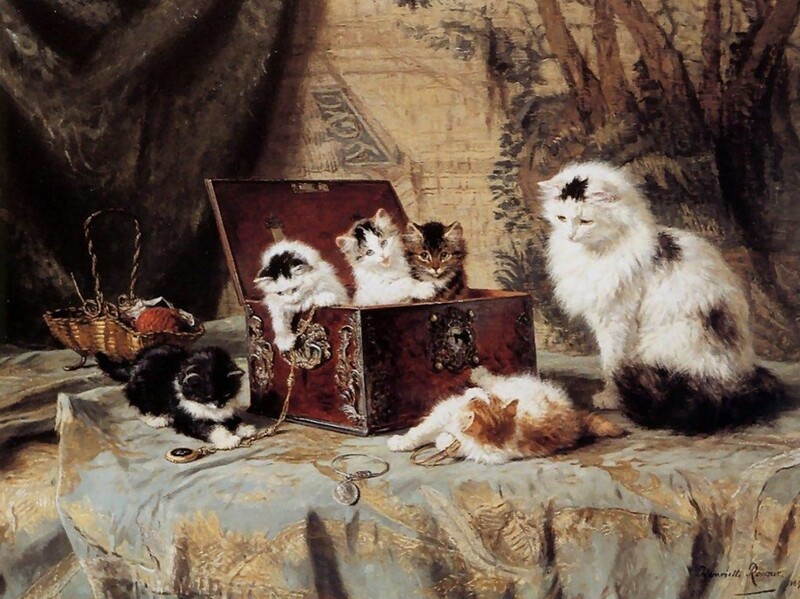 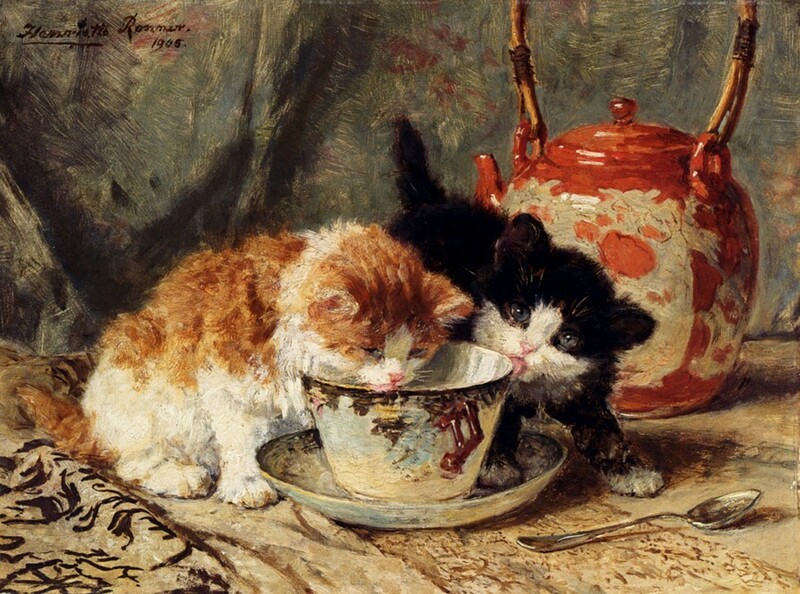 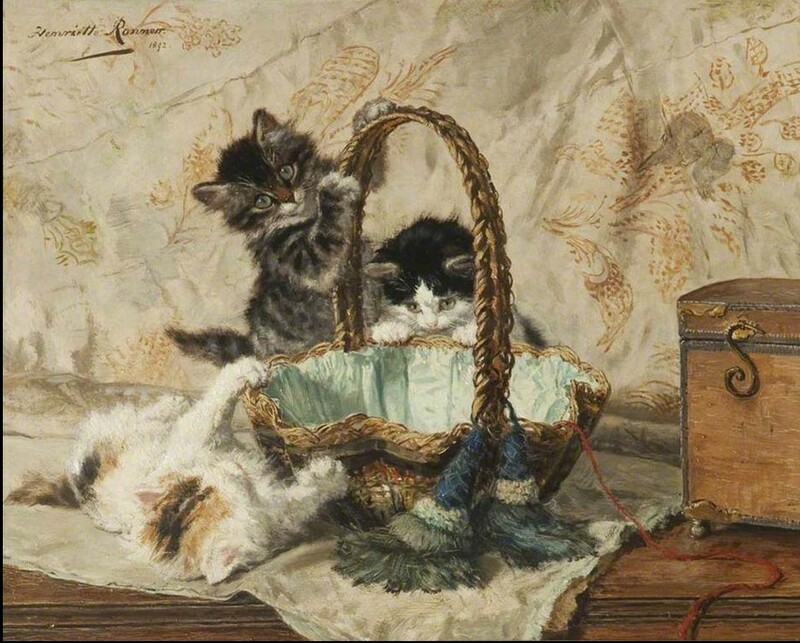 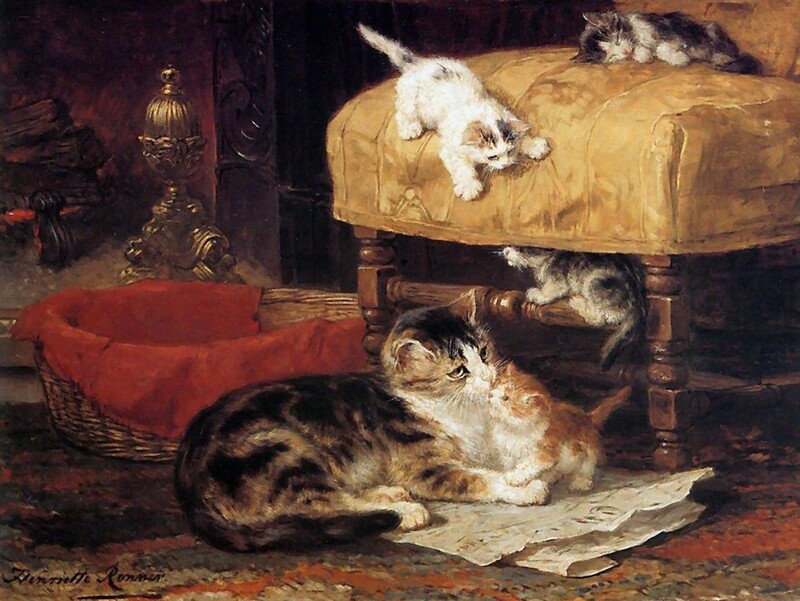 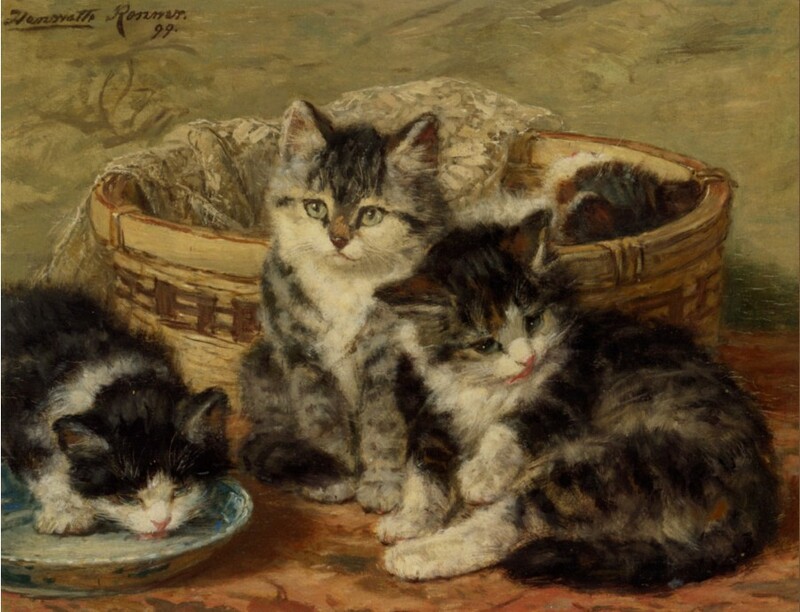 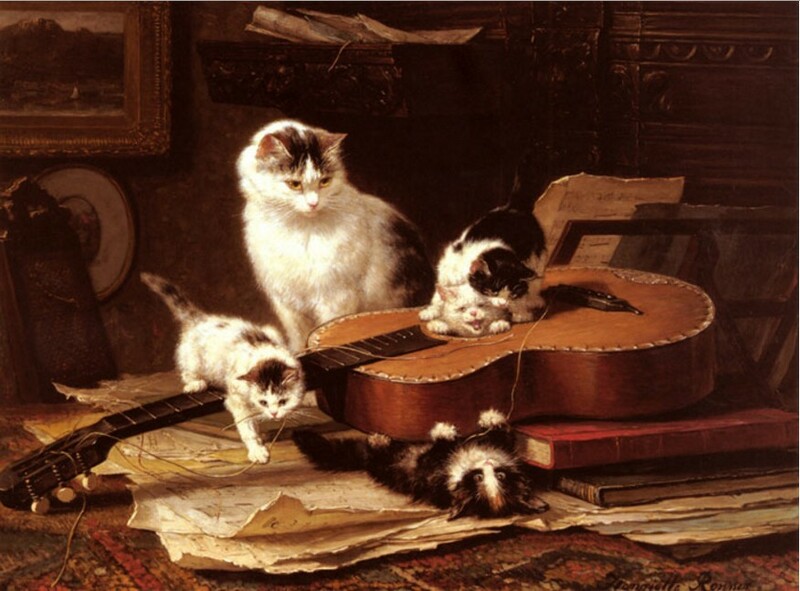 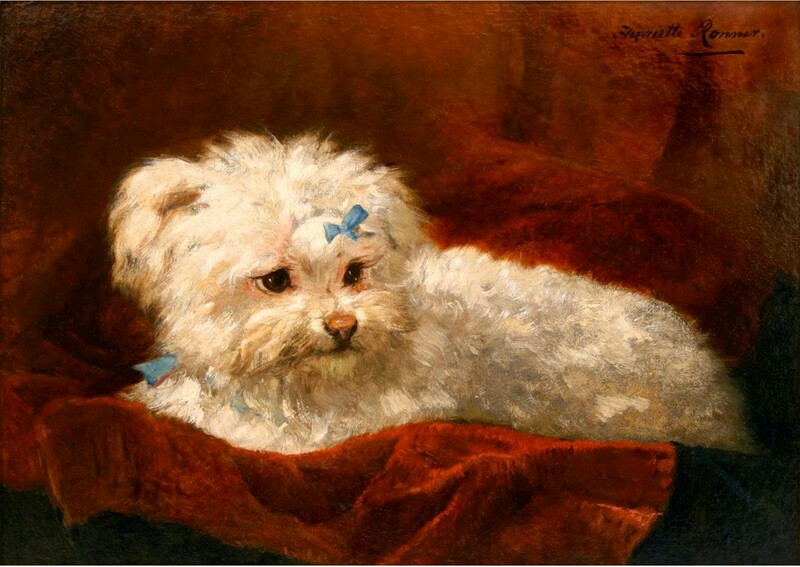 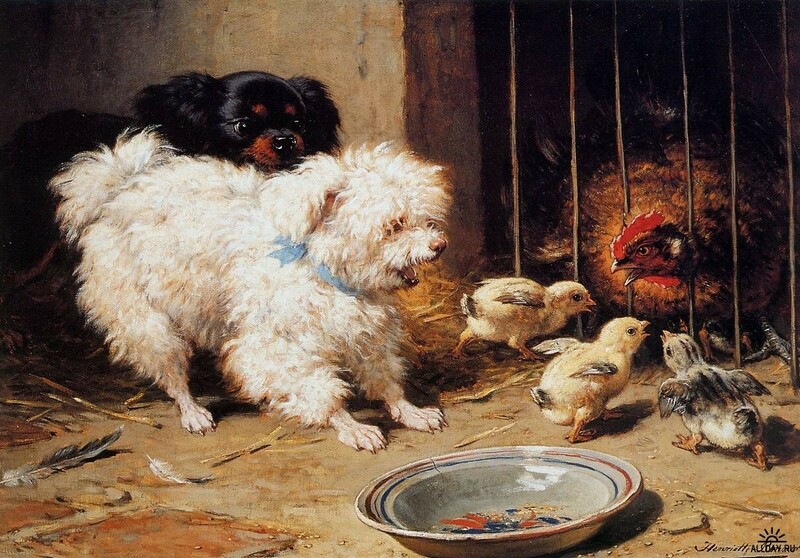 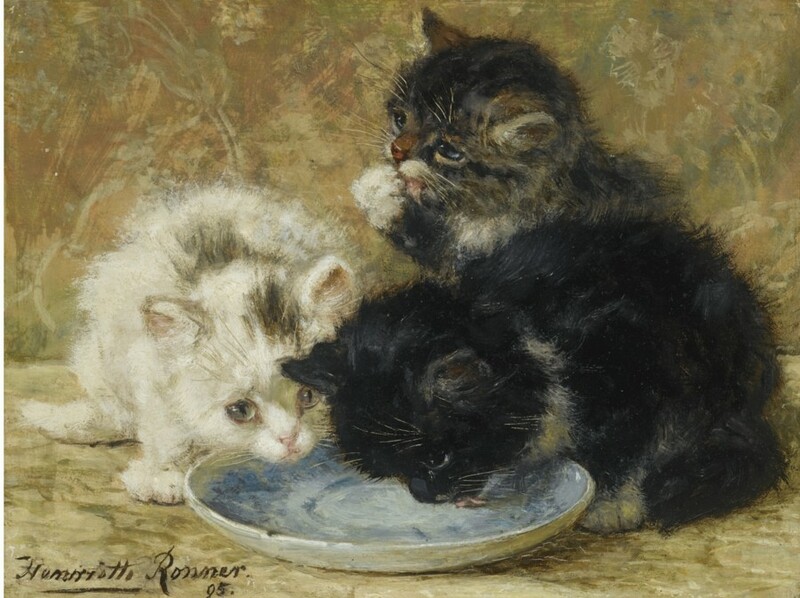 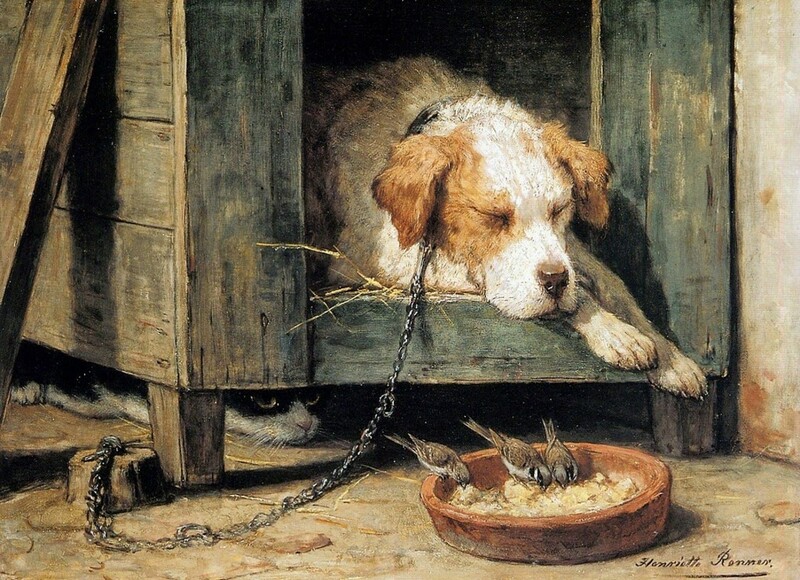 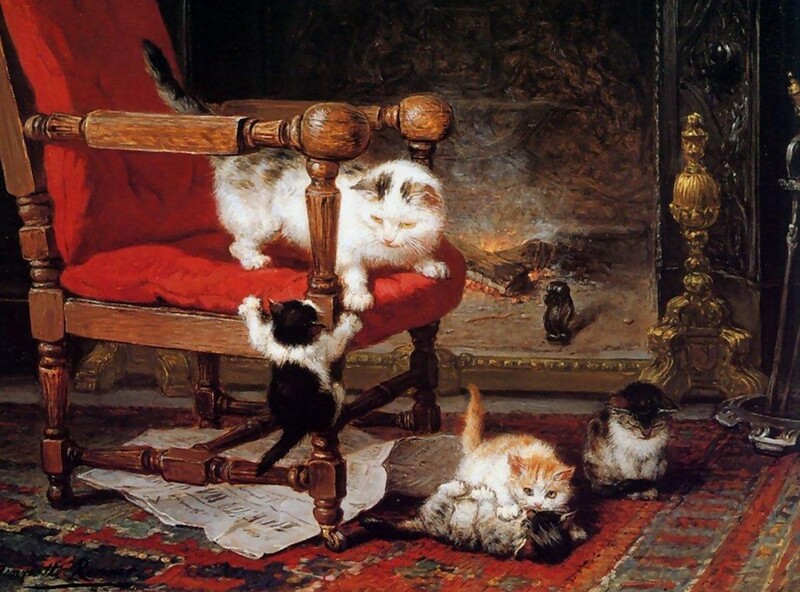 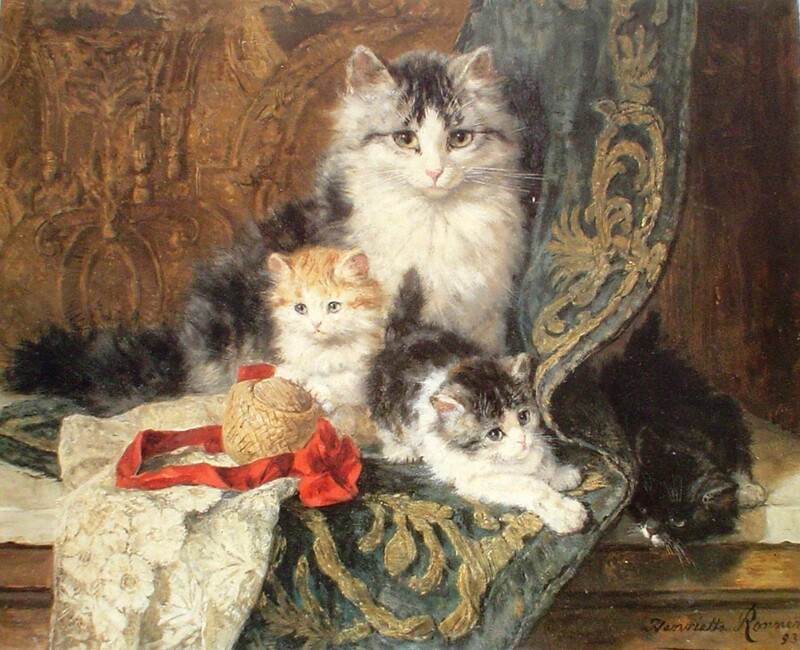 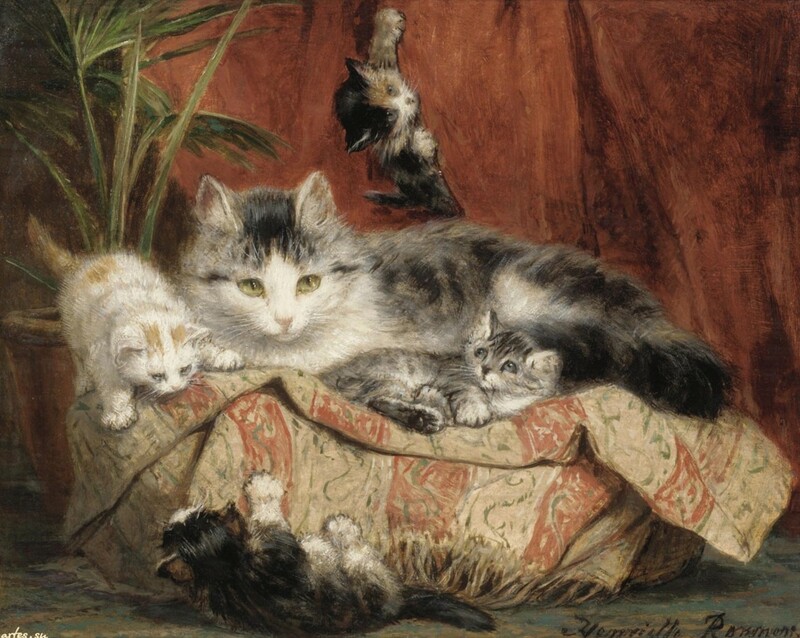 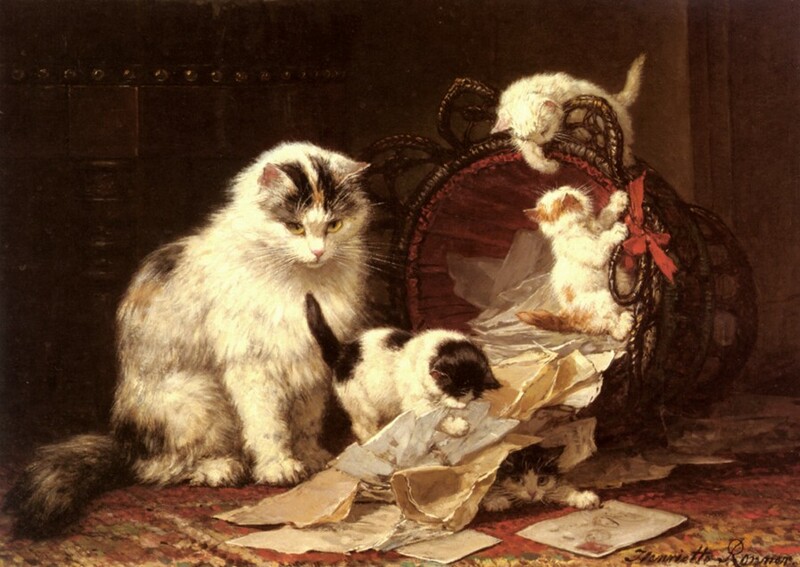 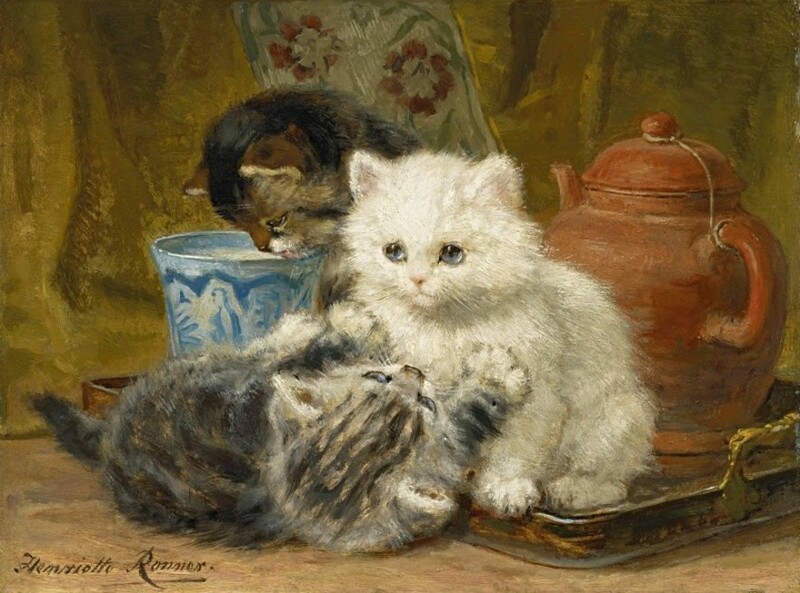 Henriette Ronner-Knip was born in Amsterdam on 31st May, 1821. 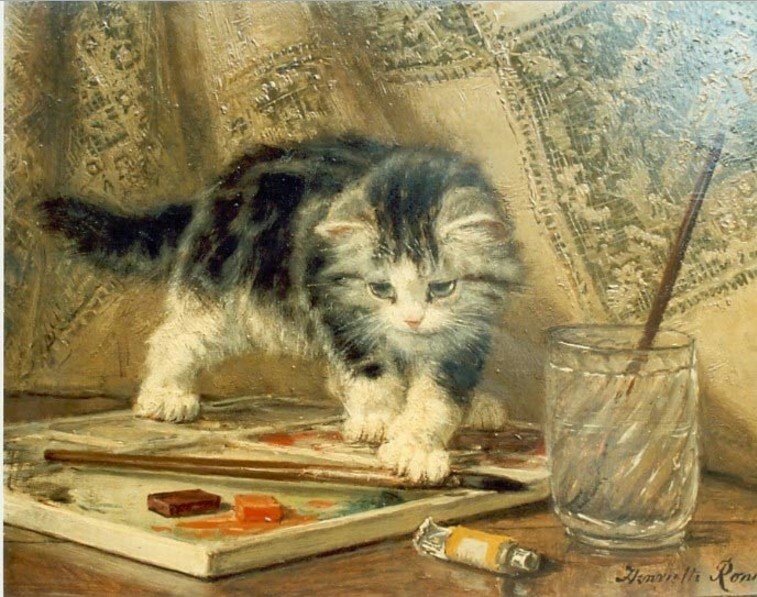 She was the daughter of the landscape artist J.A. 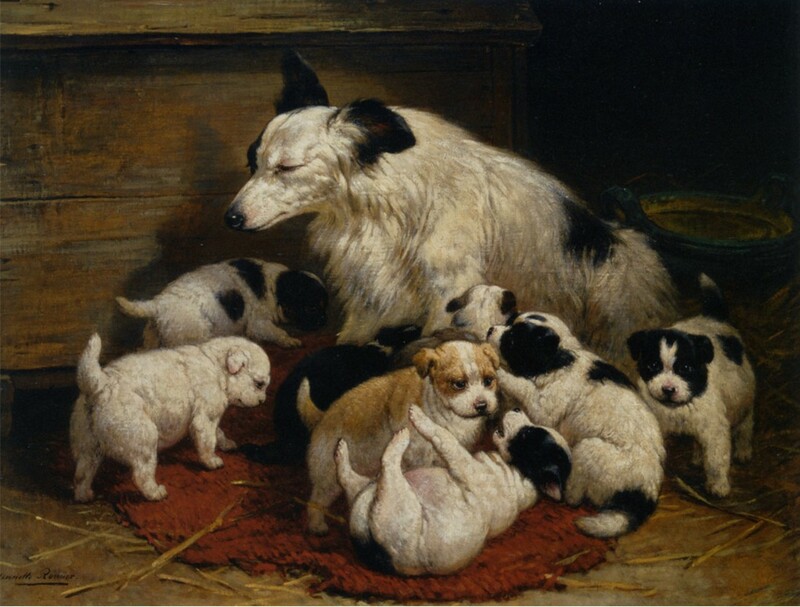 Knip (1777-1847) and he was her first tutor. 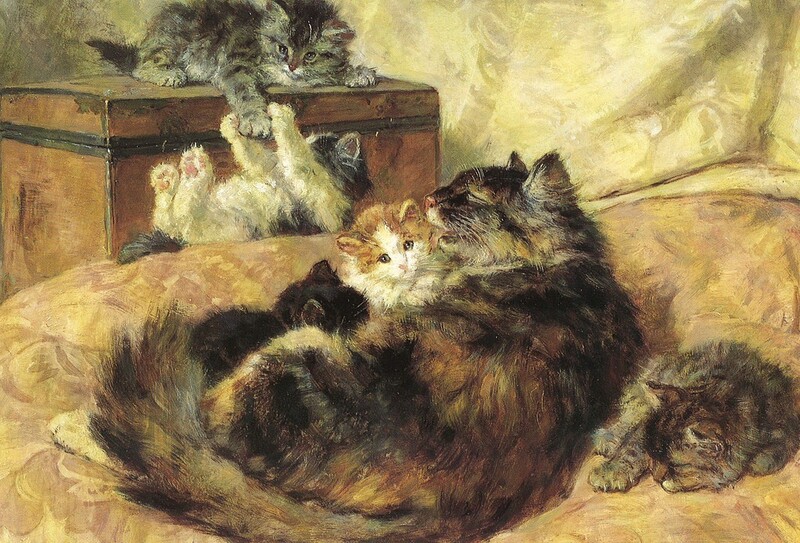 The family travelled extensively during her childhood living for periods of time in Paris and Rome. 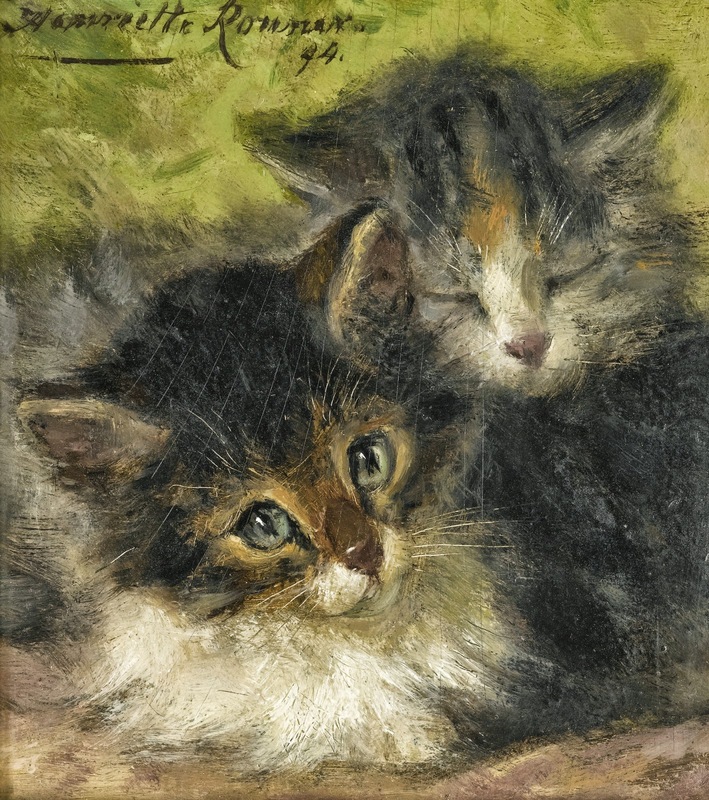 At the age of 16 she exhibited her first work in Dusseldorf and from 1838 she exhibited in The Hague and Amsterdam. 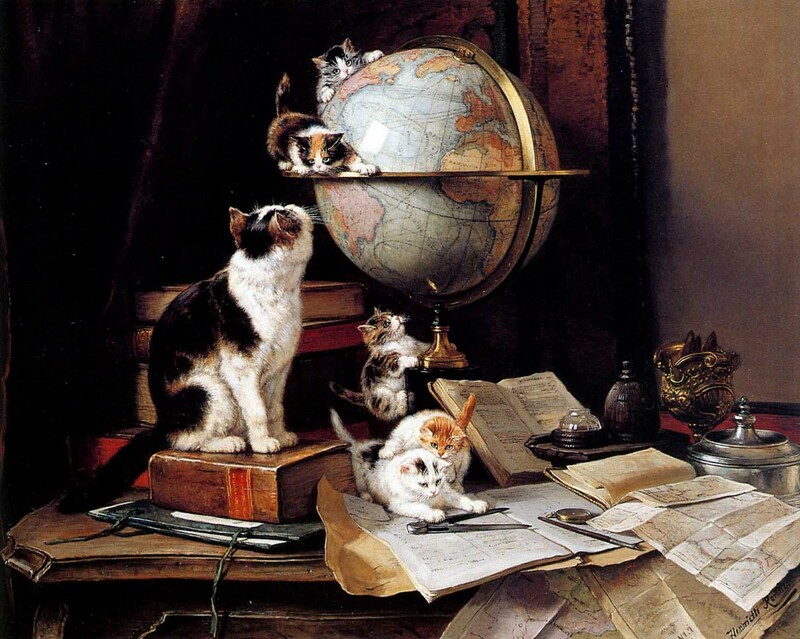 She furthered her studies under the artist J.Stevens in Belgium. 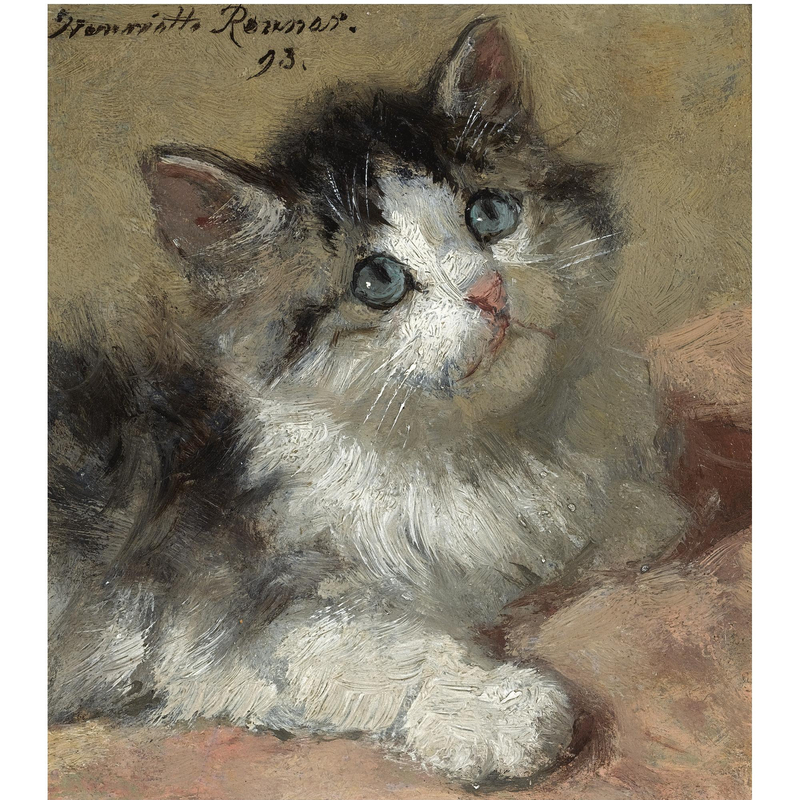 In 1850, Henriette married Feico Ronner and she moved to Brussels. 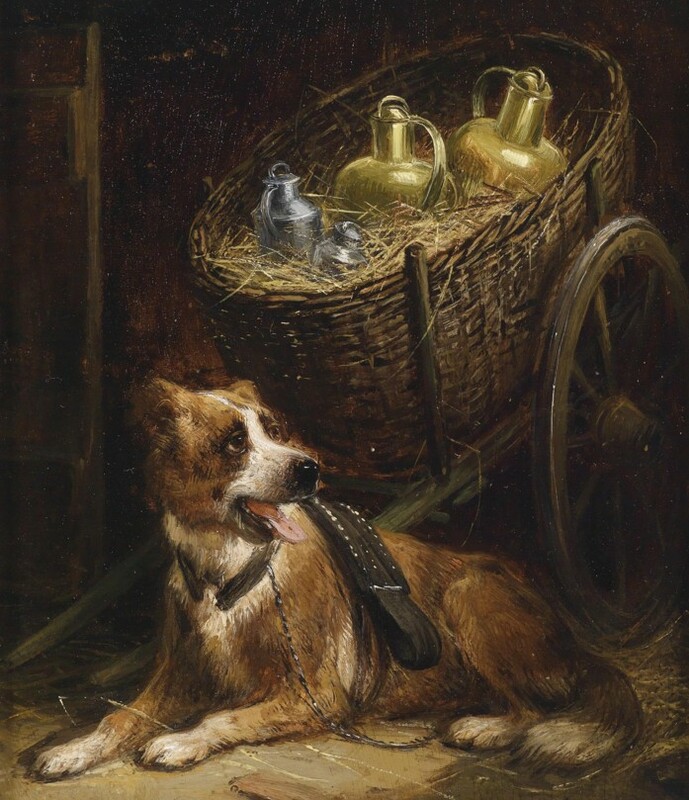 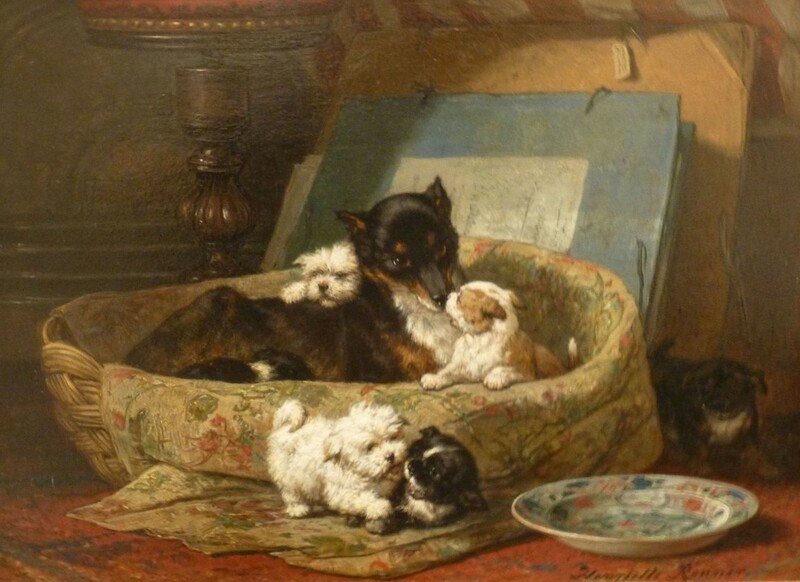 Initially she painted dogs and an exhibition in 1860 led to many commissions. 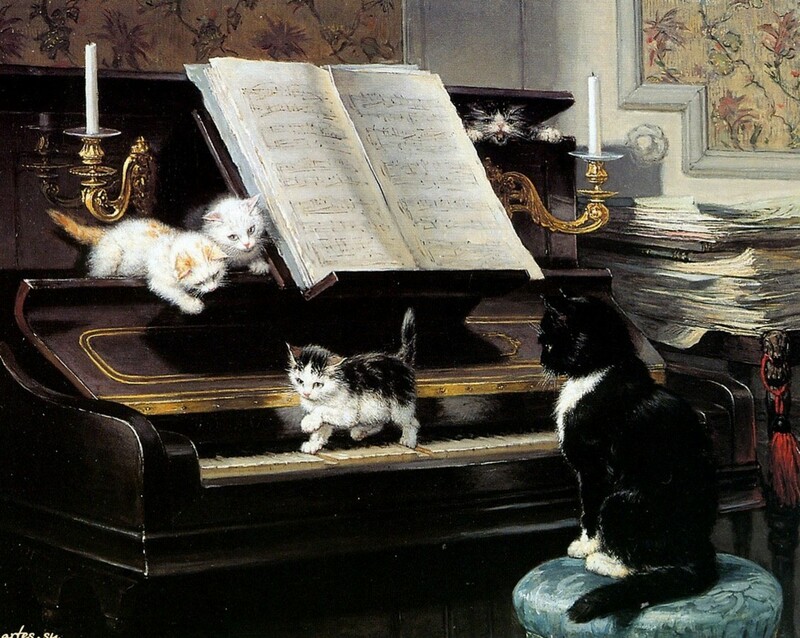 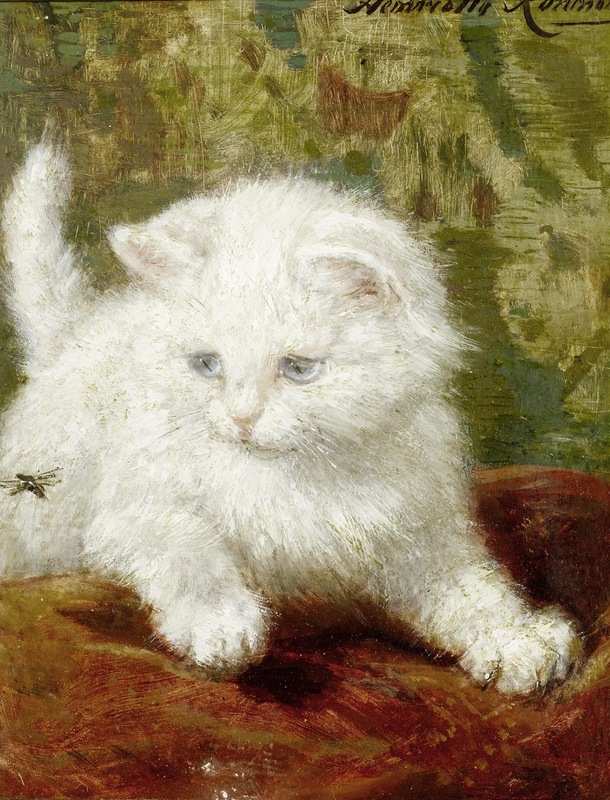 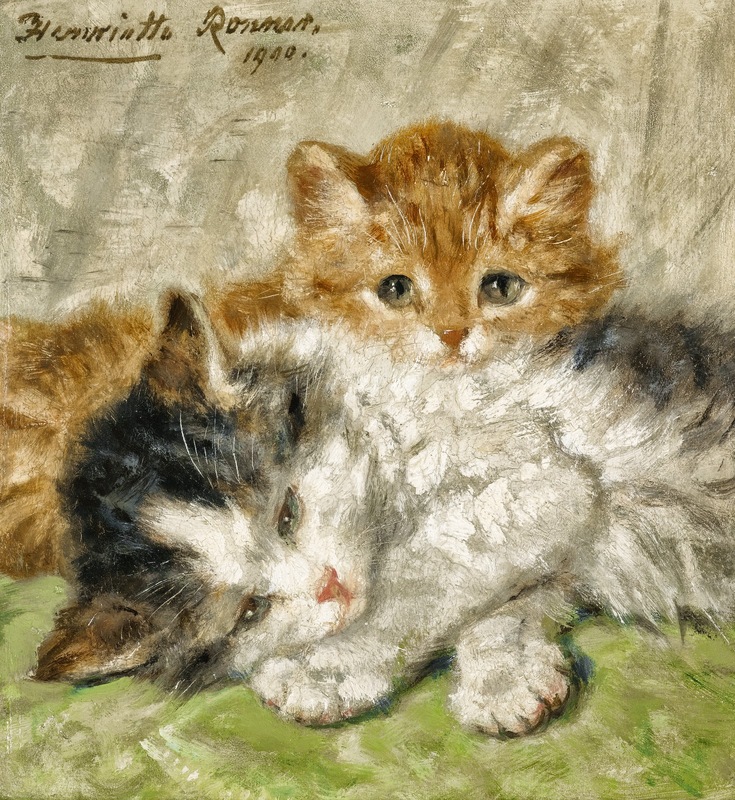 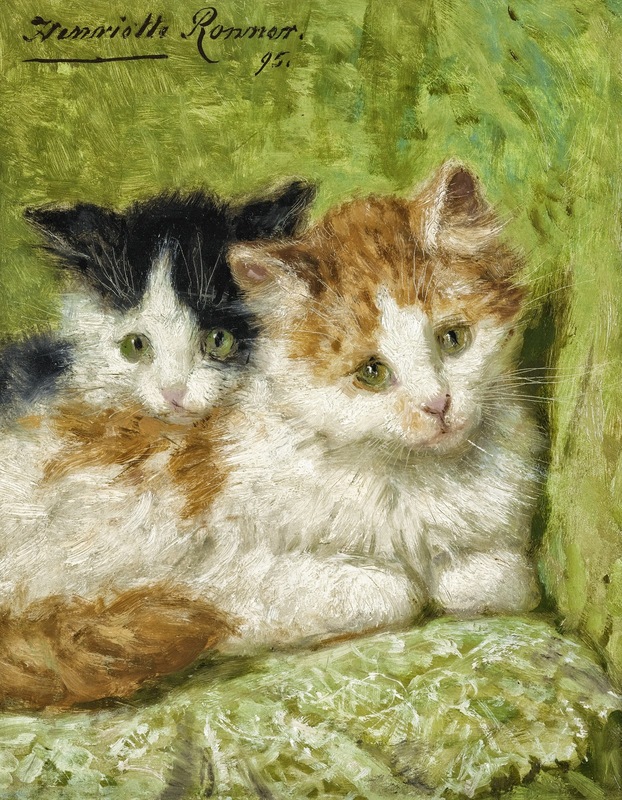 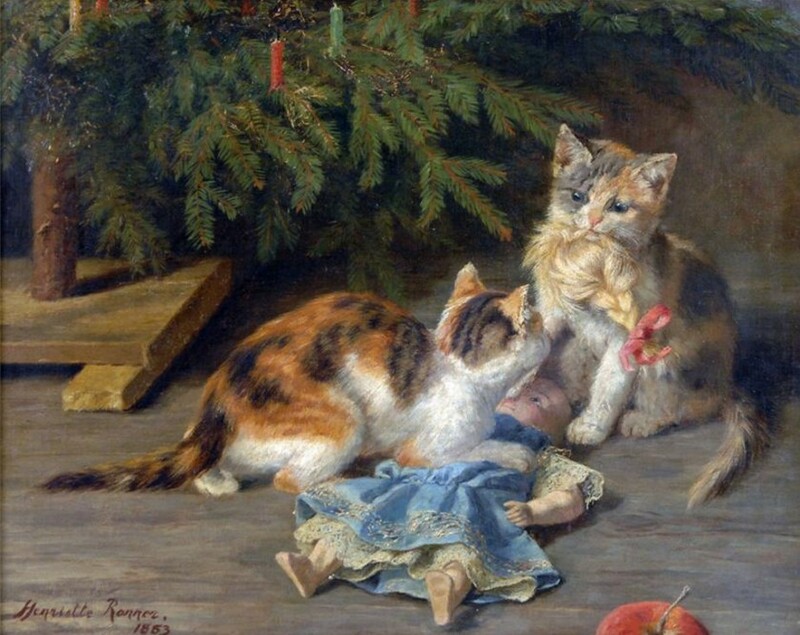 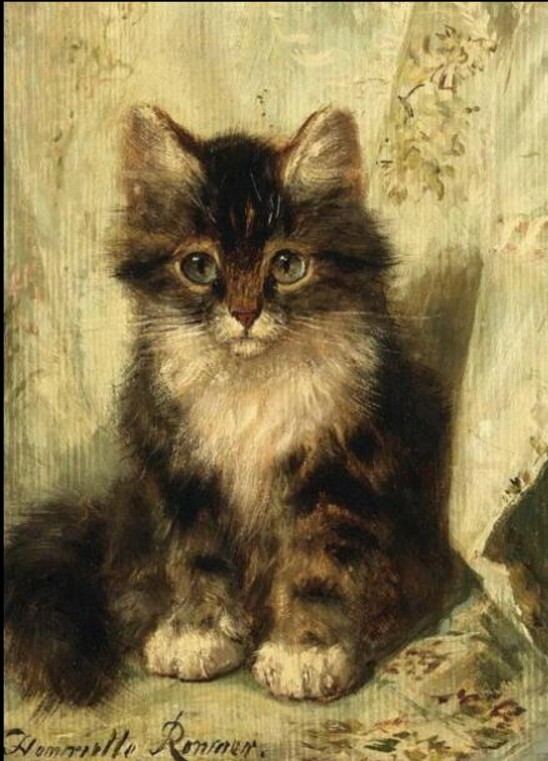 However, by 1870 the artist turned her attention to painting cats. 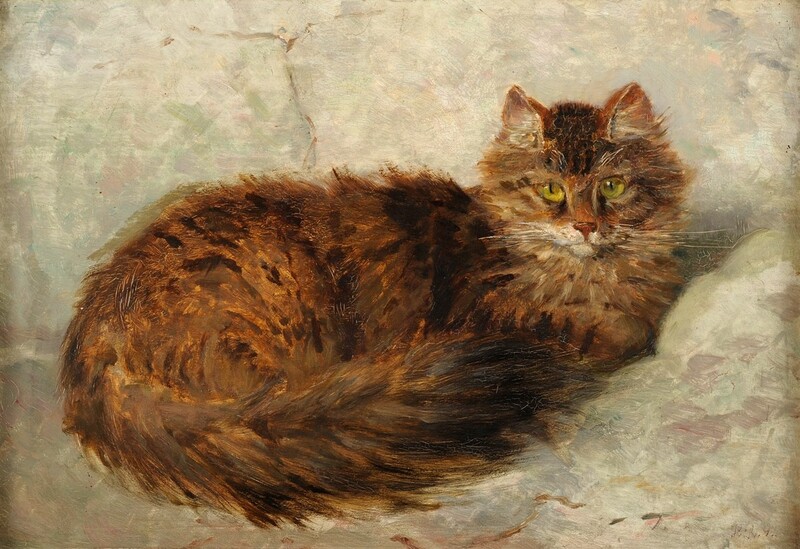 She invariably portrayed pedigree cats in luxurious surroundings; the background is always evocative of elegant homes which appealed to her wealthy patrons. 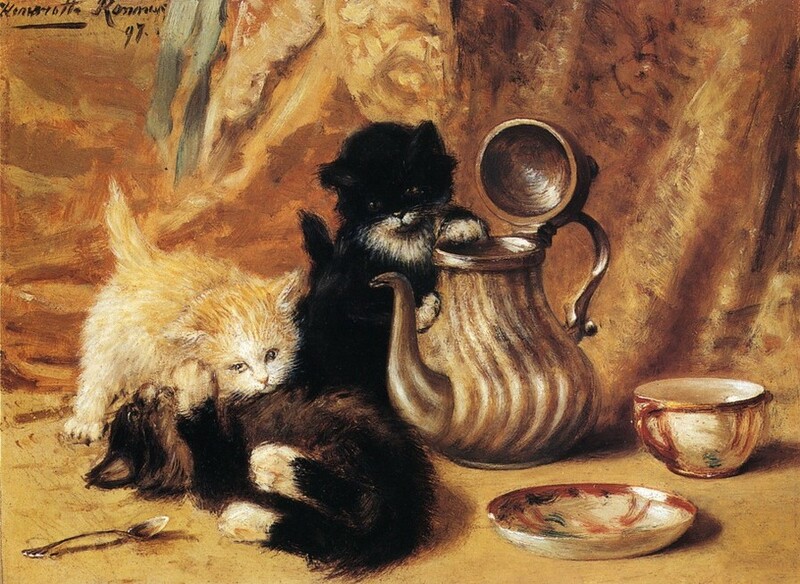 Still life is usually an integral part of the subject matter often depicting cultural items such as music or instruments or fashionable trinkets or japonaiserie. Ronner achieved fame throughout Europe and her patrons included Don Fernando, King of Portugal and the Price of Wales. 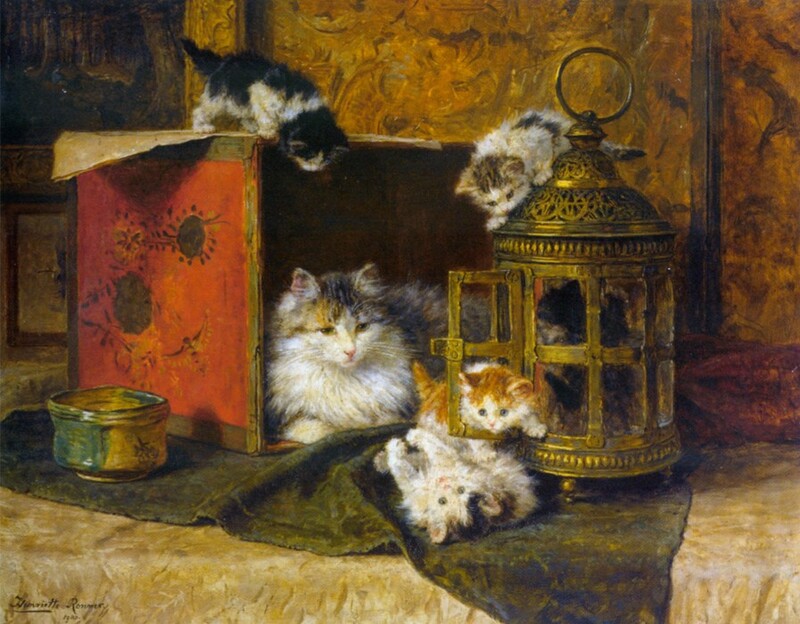 She exhibited at the Royal Academy in London between 1891 and 1903 and in the spring of 1890 she had an exhibition at the Fine Art Society. 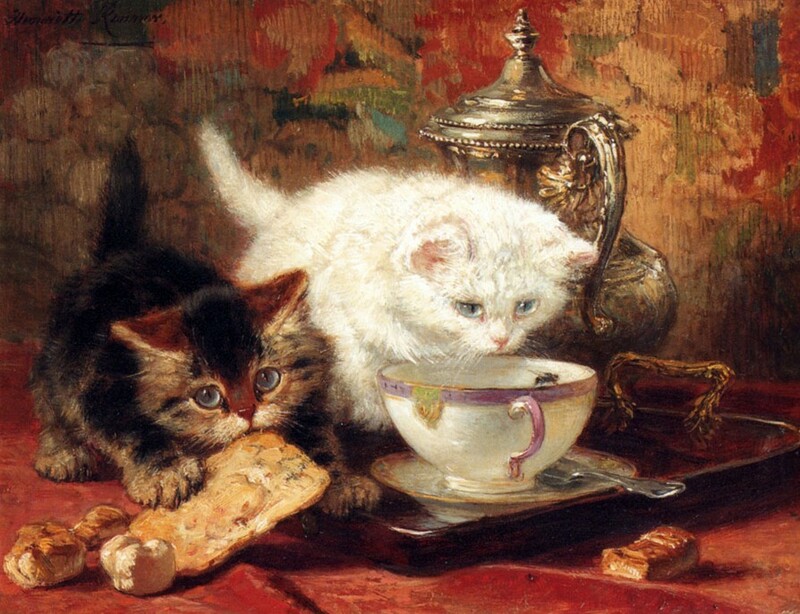 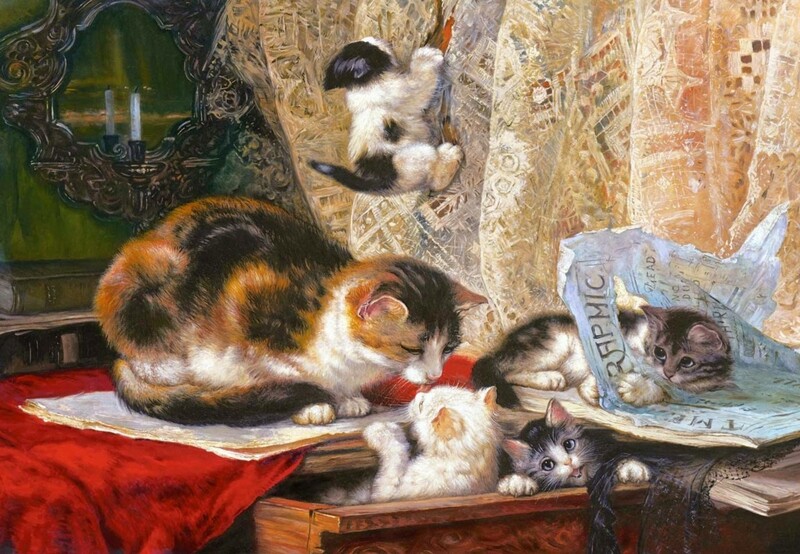 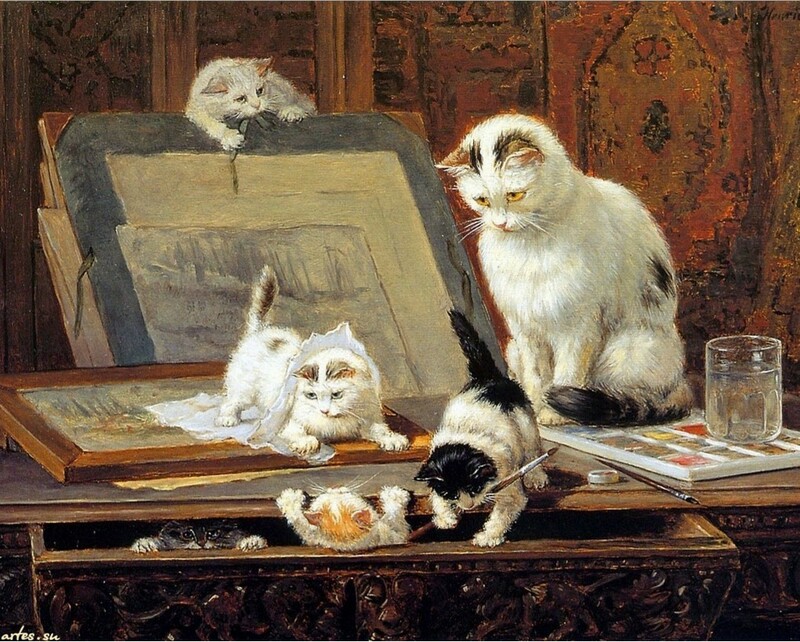 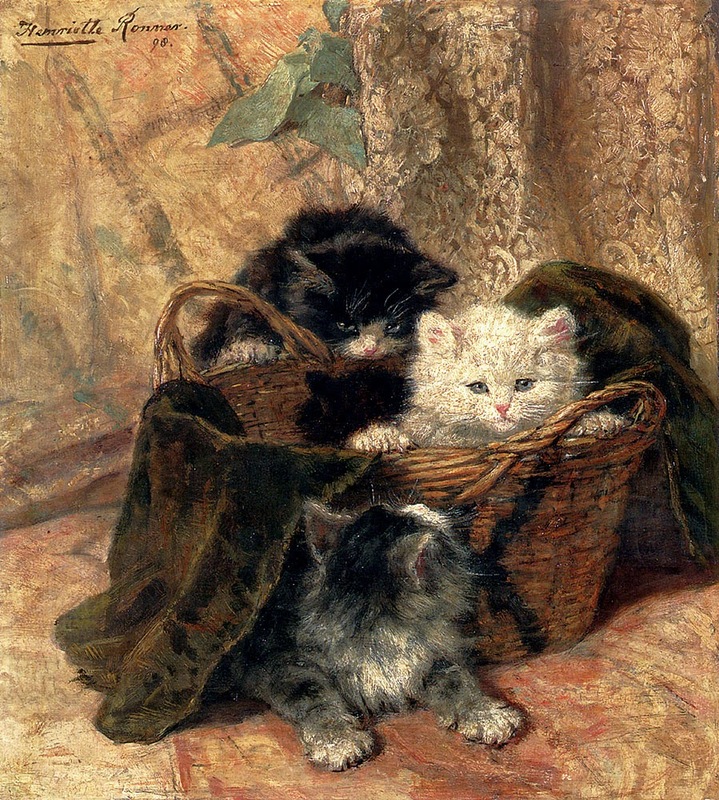 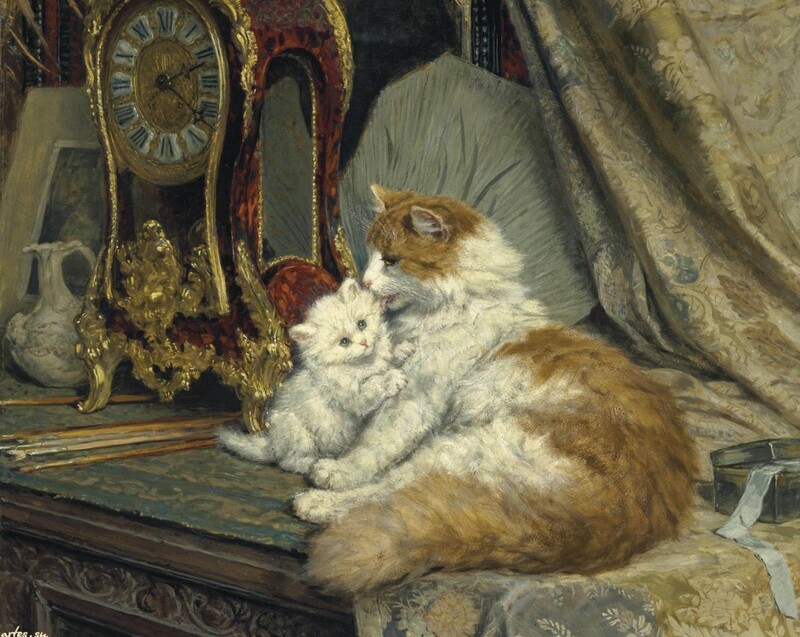 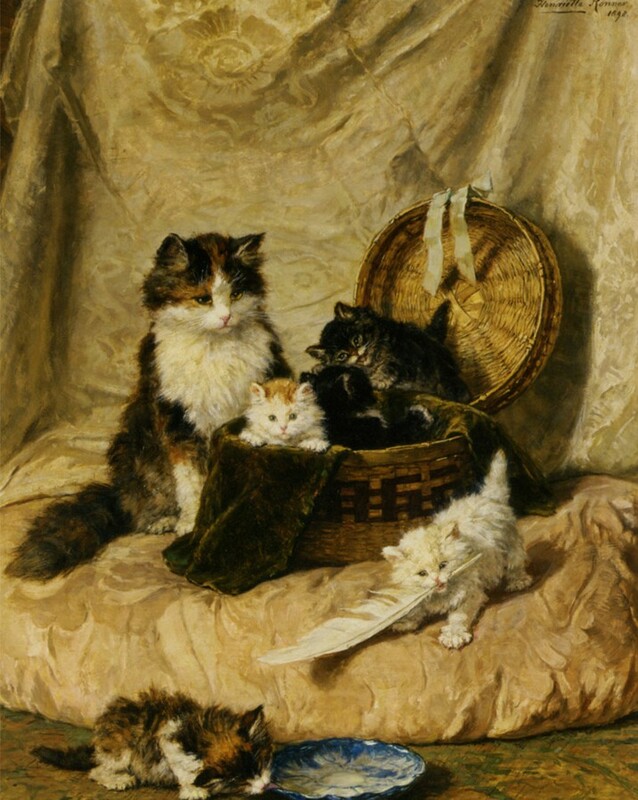 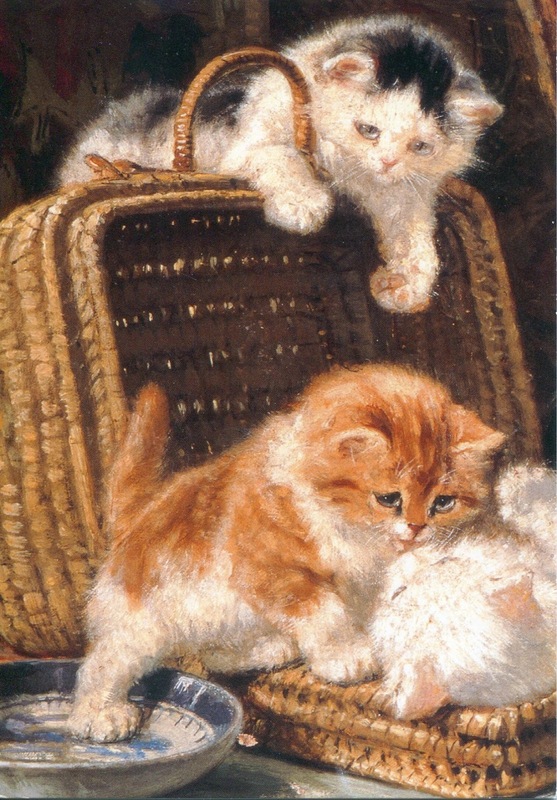 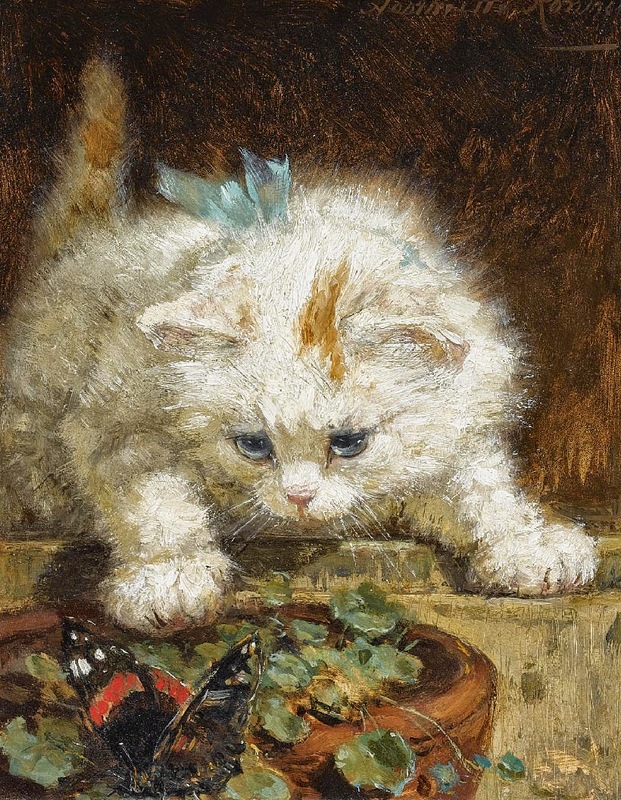 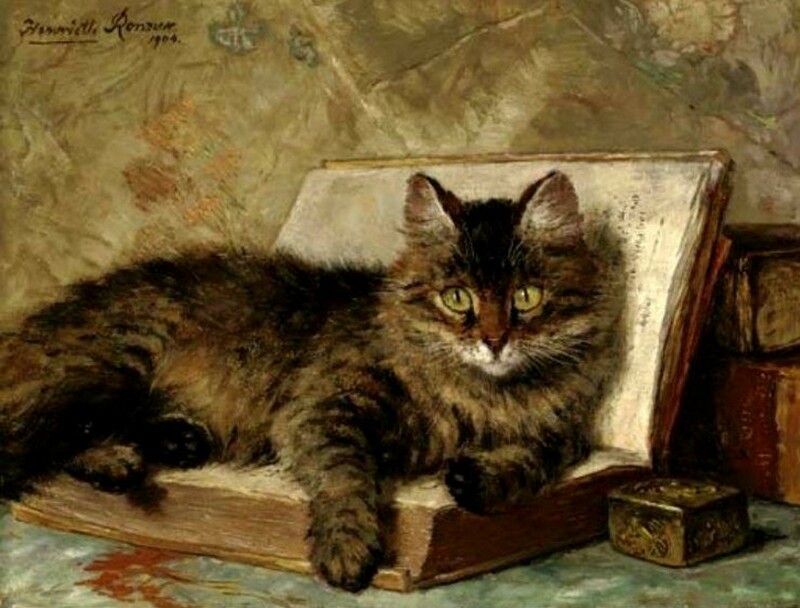 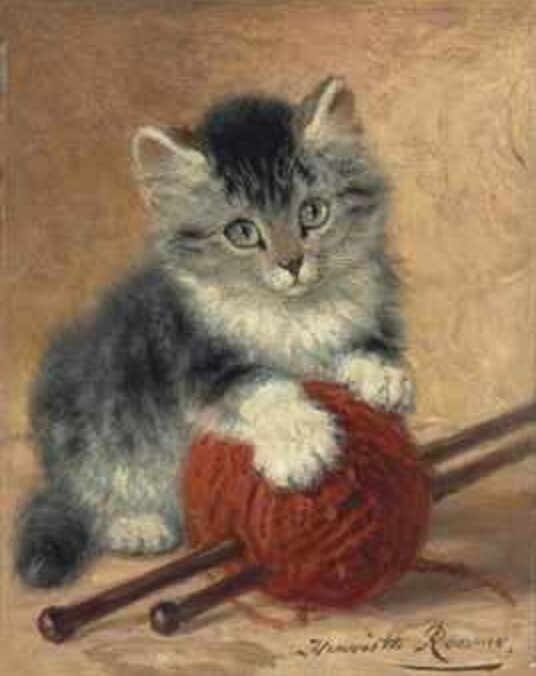 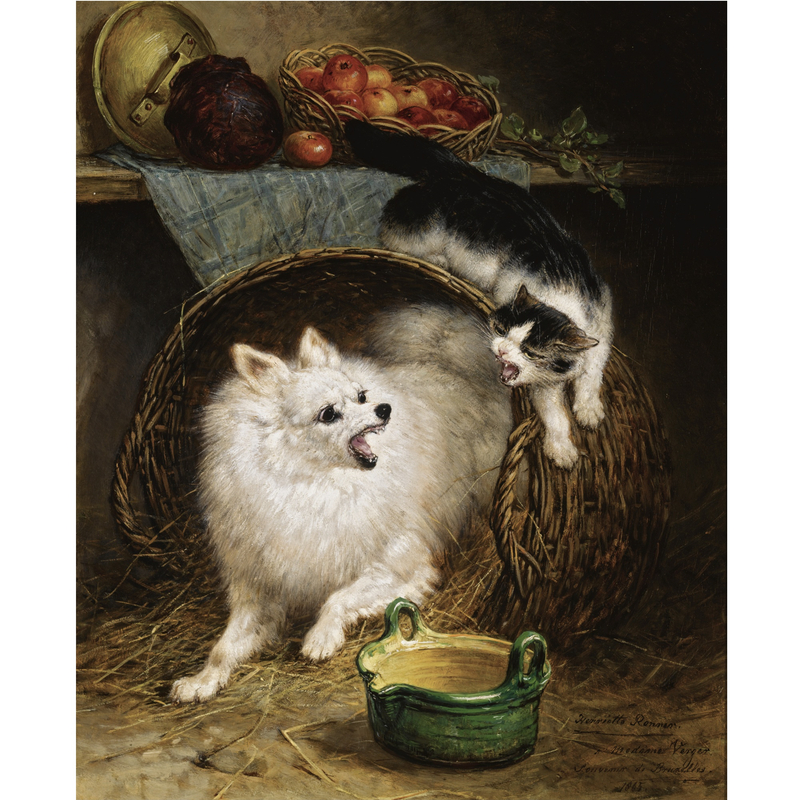 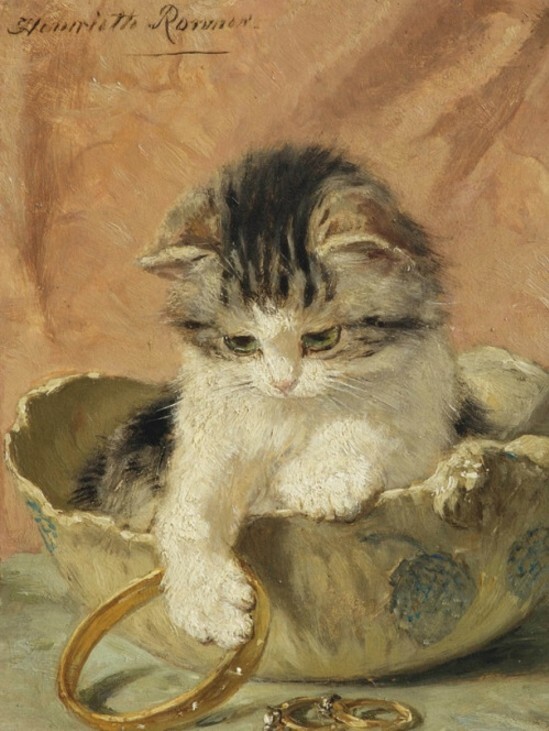 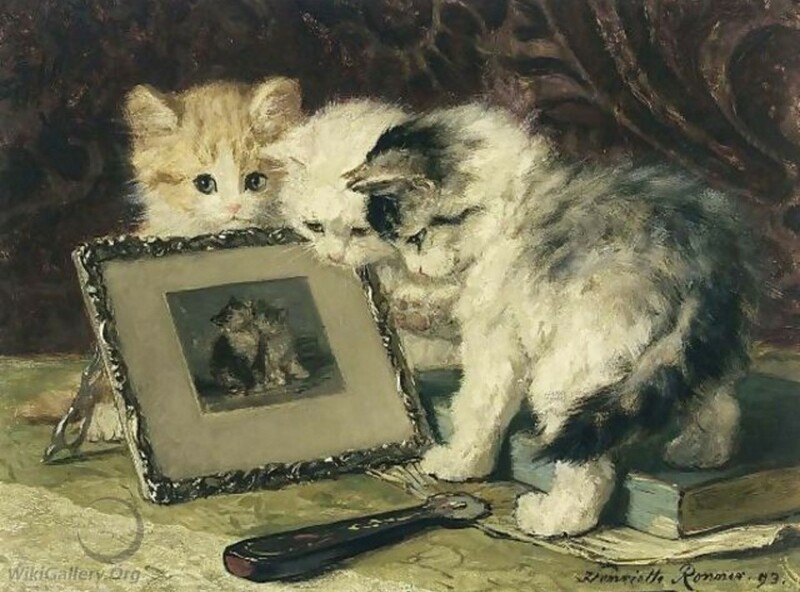 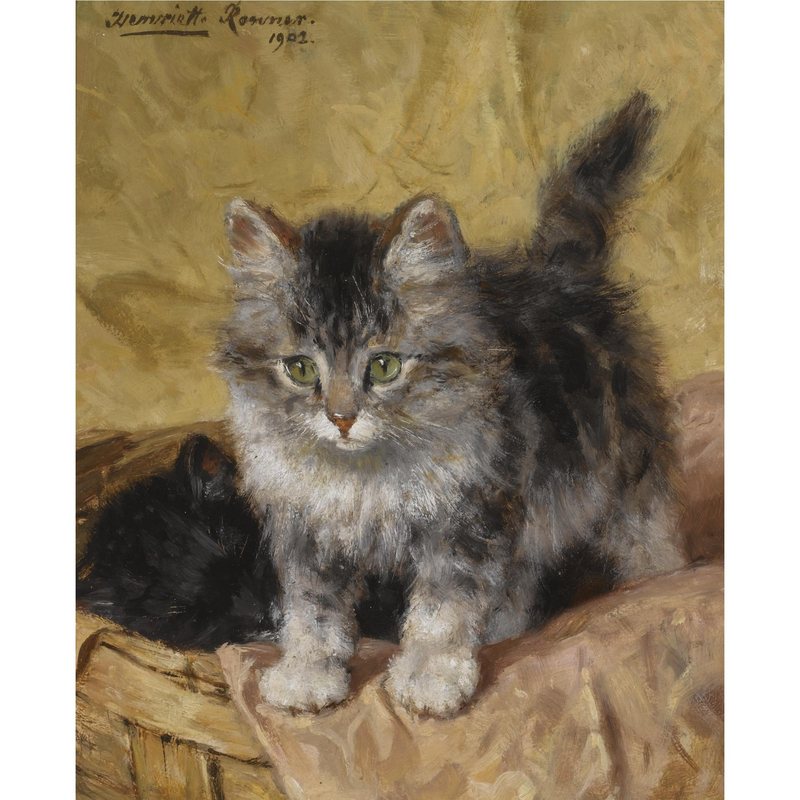 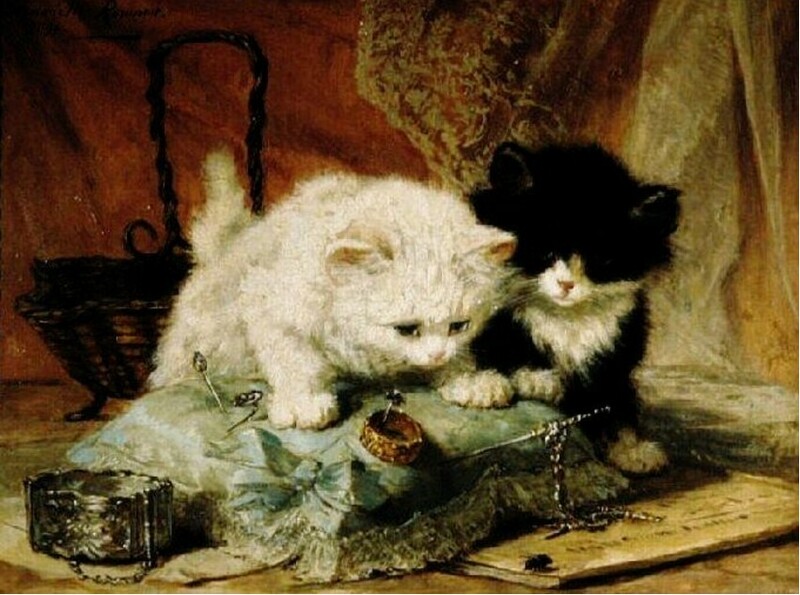 She is undoubtedly the finest 19th century painter of cats and he work is still in huge demand by collectors today.